Having good basic drawing skills is the foundation to most art disciplines and anyone can learn to draw. 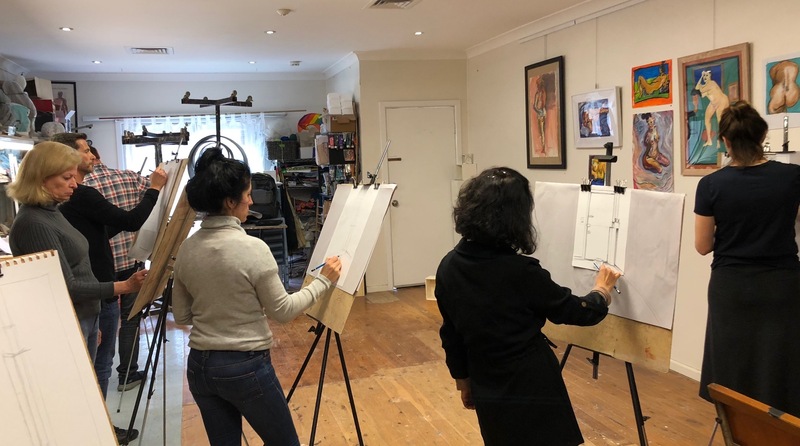 This class is suitable for beginners to advanced students wanting to discover their hidden drawing skills or develop their own technique further using a variety of drawing mediums. Each session will introduce the student to new drawing techniques developing essential observational skills and learning about form, tone & rendering styles using graphite, charcoal, conte, pastels, ink, & coloured pencils. Students will be guided through various drawing techniques to improve their drawing skills, gaining more confidence as they find their self expression. The course will cover still life, landscape, plein air sketching, figurative, portrait & loose expressive drawing. PLEASE NOTE this class will run on Mondays throughout March because Christine will be teaching at the Art Gallery of NSW on Wednesdays. New class dates for this period are Monday 4th, 11th, 18th and 25th March. The class will revert back to Wednesdays at the beginning of April.